Old Hollywood is a great way to pay homage to the iconic golden age of Hollywood. In fact there are a number of themes to go with; from Silent Era Vintage Hollywood to Rat Pack Hollywood. What they all have in common is Glitz and Glamour! Raj Tents inventory lends itself very well to the Old Hollywood feel of hip and chic coupled with elegance and romance. 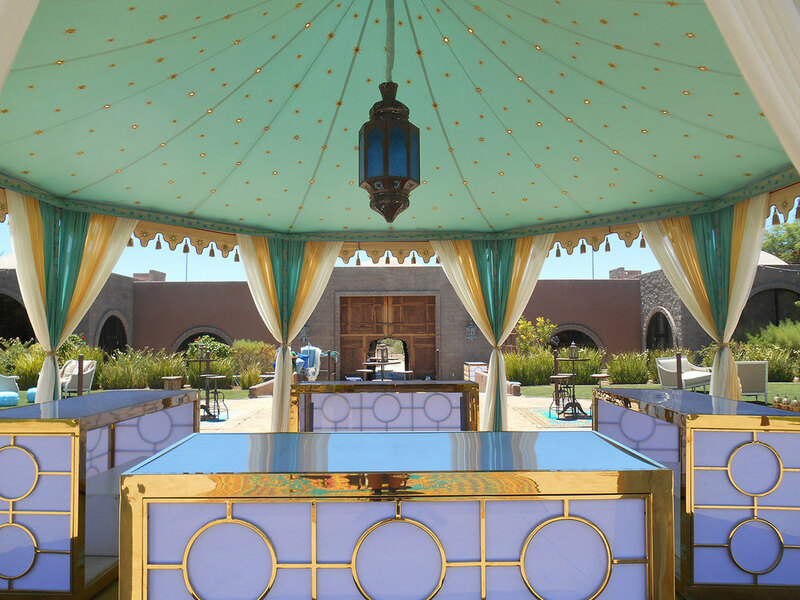 The strong Moroccan and Spanish Colonial influence in design and architecture of those times comes into play too. Ivory, Robin’s Egg Blue, Sky Blue and Red are very dramatic and elegant colors, or a simple Black and White color palette works well too. 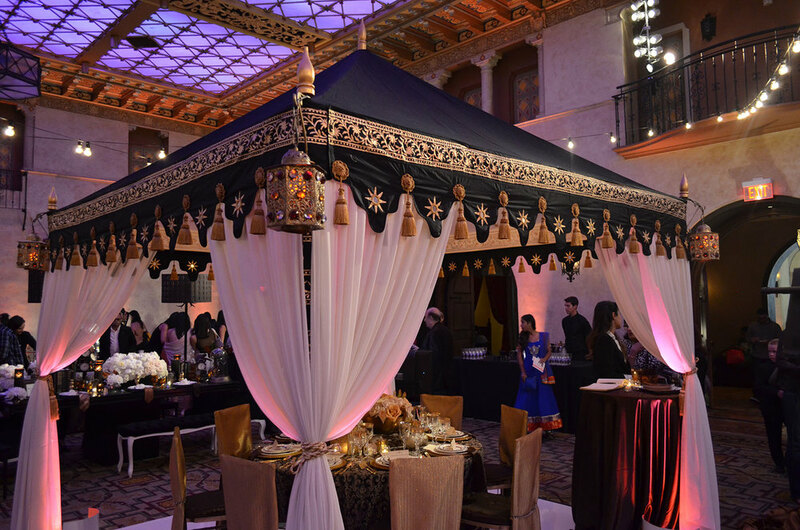 One association with Hollywood of the golden era is the drinks and service from those times – Raj Tents Old Hollywood themed bars and buffets are a great way to create décor impact for your Holiday Party.